I swear if you put bacon on anything it's gonna make it better! 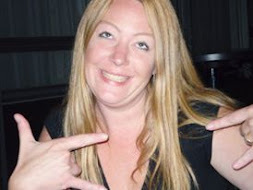 I mean how can you go wrong!?!? 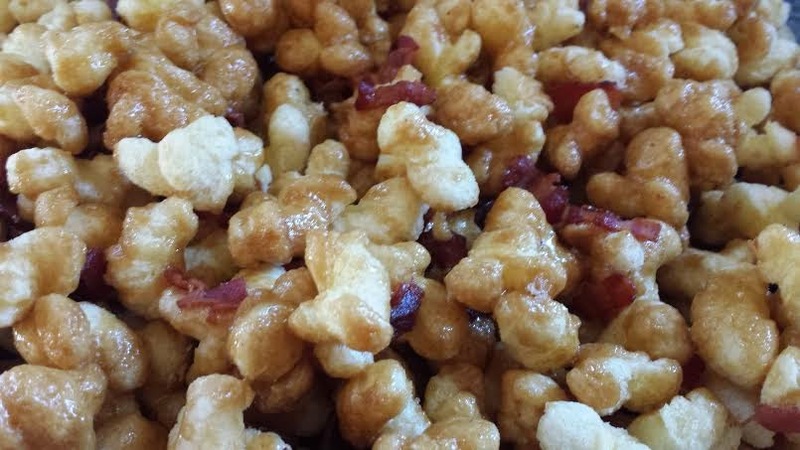 Growing up once in a blue moon my Mom would make this delicious/addictive caramel puff corn. 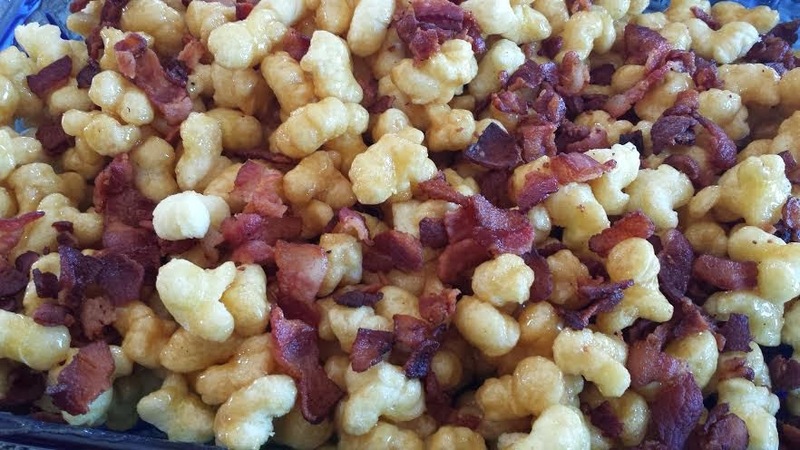 And recently I was at the Red Cow restaurant in Edina with my hubbie, I read on their menu, Bacon Caramel Puff Corn, mental note to self you have to make this!!!! So that is what I did today on National Appetizer Day! 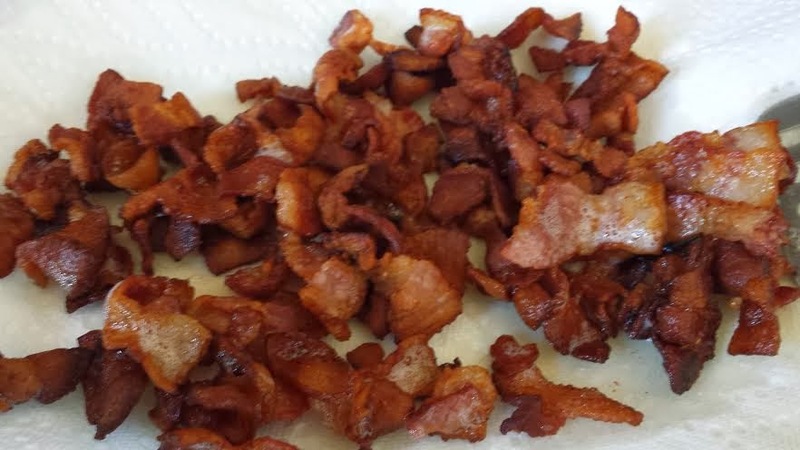 I made one batch plain and one with bacon, just in case the kids didn't like the bacon one (ya right). Melt together your butter, syrup and brown sugar. Once that has melted stir in your baking soda, that will make your mixture rise and get frothy! Now its time to pour the caramel on top of your Puff Corn, mix well.